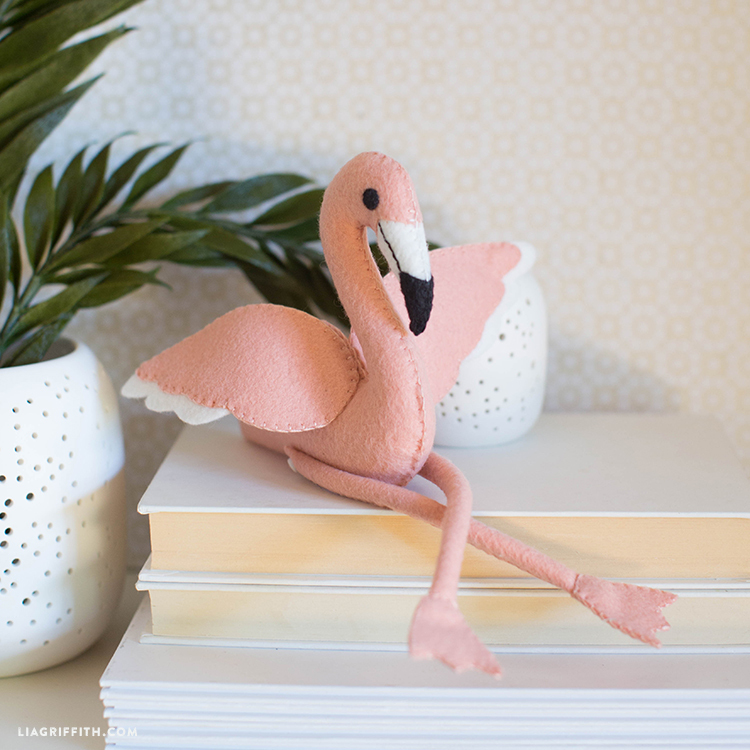 Pink Plush: This Felt Flamingo Stuffie is the Perfect Gift for Kids! 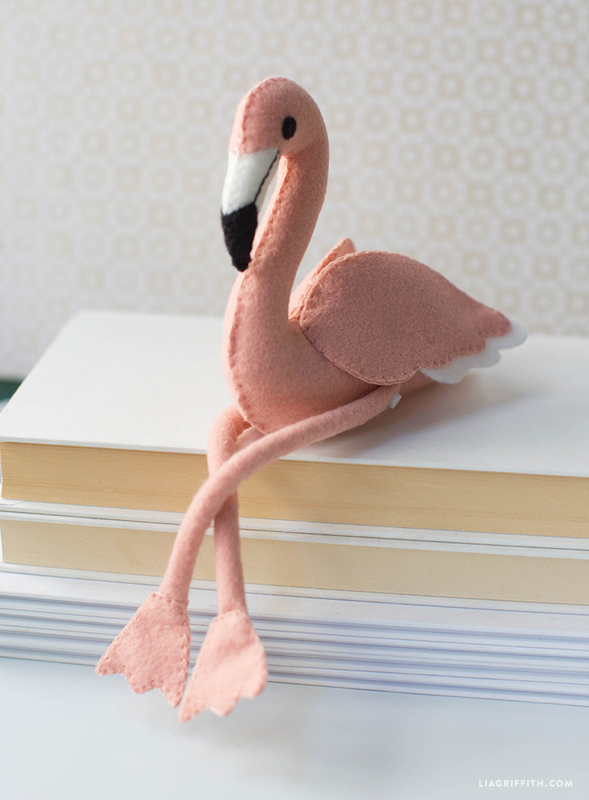 Do you know a kid who’s as flamboyant as a flamingo (or just loves flamingos in general)? If so, then we have the perfect craft gift for them! 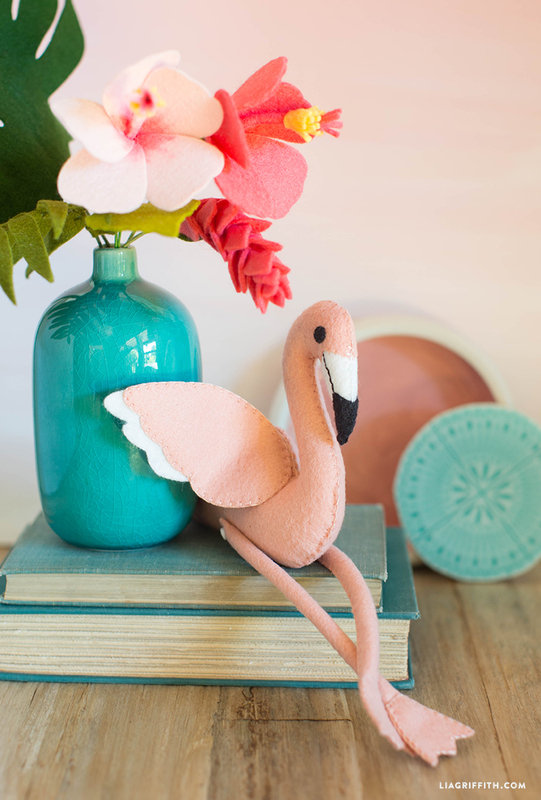 Our felt flamingo stuffies are plush and beautiful, making for a wonderful present for the young ones in your life. And besides, felt and fun flamin-go together! What’s even more, they’re super simple to create! All you do is gather the tools and materials, then download the SVG or PDF template below. Follow our step-by-step photo tutorial or download the instructions for later. Happy crafting! Cut out felt pieces according to pattern. Layer 2 wing pieces together with the white feathers tucked between. Pin into place. Blanket stitch around the wings using 3 strands of matching floss, going through all 3 layers of felt. Repeat for the second wing. Layer the white beak under the head with a slight overlap. Whip stitch together using a single strand of pink floss. Whip stitch on the black beak tip and eye with a single strand of black floss. Straight stitch a black line through the beak with 3 strands of black floss. 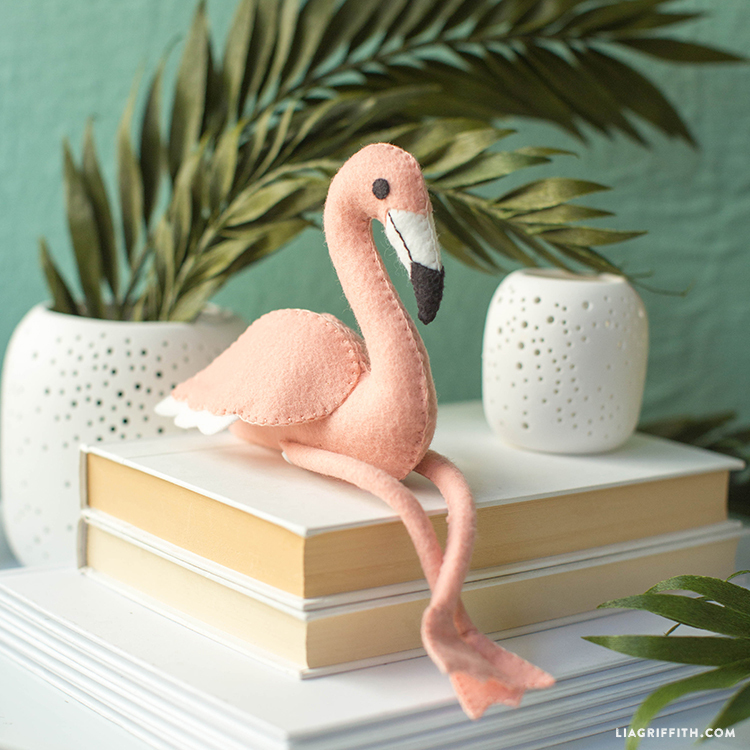 Repeat for the other half of the flamingo. Cut cording to 5” long. Lay it in the middle of the felt leg piece, aligned with the edge on the left side. Fold the felt around the cording. Blanket stitch the short side, and then the long side of the leg with 3 strands of matching floss. Leave the last 1/4” end of the leg open and unstitched. Blanket stitch the feet together, using 3 strands of matching floss. Leave the side open for now. Tuck the unsewn end of the leg inside the foot. Finish blanket stitching closed. Pin the body pieces together and begin blanket stitching along the edge, starting from the bottom (see arrow in tutorial). When you get to the top of the head, swap to white floss and continue stitching the white part of the beak. 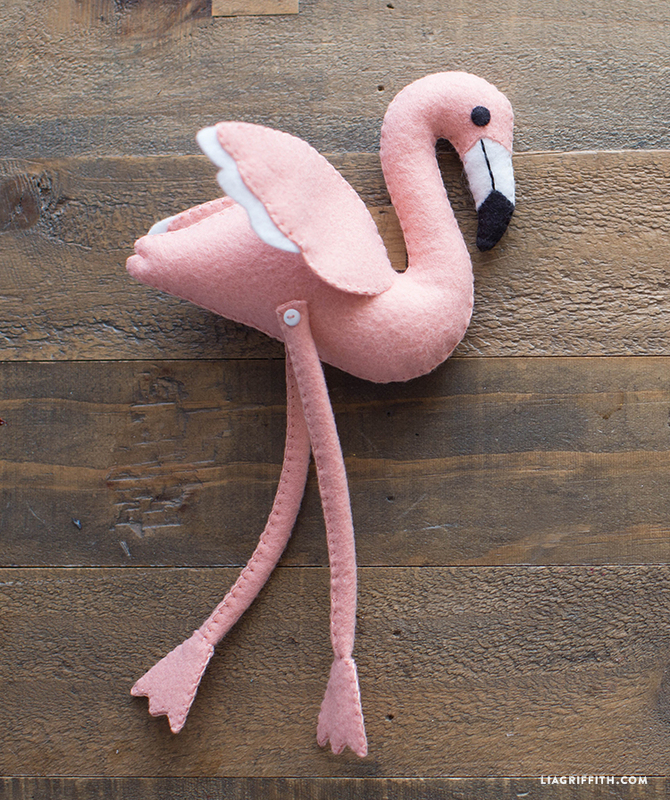 Swap to black floss for the tip of the beak, then back to white, then lastly pink for the rest of the body. Switching floss colors is not necessary, but it creates a very finished looking flamingo. the beak and head before stitching up the neck. Using a wooden skewer or chopstick will help get poly-fill all the way to the tip of the beak. Stitch the wings to the side of the body using a single strand of matching floss, one at a time. See the arrow in the photo tutorial for where we attached ours, going through the existing blanket stitched holes. the body before stitching closed. Attach the legs to the body using small buttons. 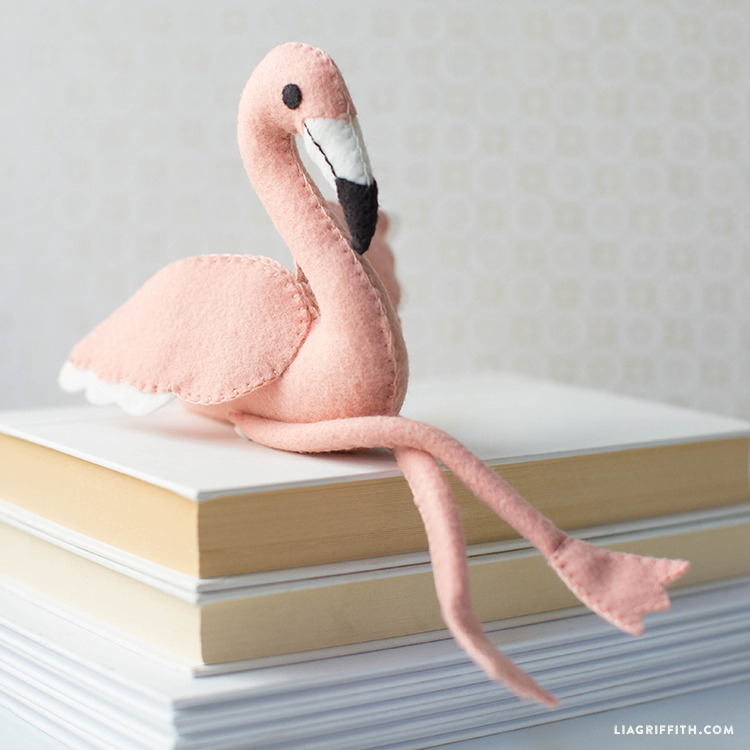 Could I make the stuffies from fleece instead of felt to make them huggable and washable for babies? I would love to make a farm and menagerie for my first grandchild, due in January.